I had to share this photo with everyone. 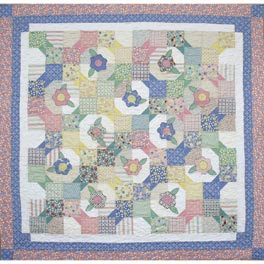 I saw this pattern in the Clotilde catalog and thought how perfect it is to use for some pretty bowtie blocks and those applique posies we made in July 2007 for the lotto. Two lotto blocks combined in one quilt!